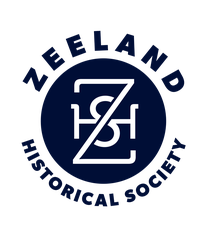 ZEELAND -- The Zeeland Historical Society's sixth annual Historic Home Tour is more than the 10 homes featured. It also is about the quilts on display, having been passed down through the generations. Steve and Debbie Albert, 36 W. Central Ave.
Christy and Ken Boeve 125 S. Centennial St.
Kevin and Michelle Karsten, 246 E. Central Ave.
Jackie Kamps, 229 Maple St.
Parkview Adult Foster Care Home, 214 E. Central Ave.
Jeff and Becky Perkins, 336 E. Central Ave.
Cory and Missi Potter, 145 Elm St.
John Schmidt and Dawn Boelkins, 231 E. Central Ave.
Vic and Anna VanDeventer, 120 S. Church St. Cost: $20 in advance at Zeeland Hardware, 122 E. Main Ave., or Bunte's Pharmacy, 115 E. Main St.; $22.50 Saturday at tour sites. Most notable, perhaps, is one created by Maartje Vande Luyster Leenhouts, whose father, Jannes, founded the city in 1848. The quilt was one of the first artifacts donated when the society was established in 1978, said Dorothy Voss, one of the organization's co-founders. "It certainly (dates back) before 1900," she of the quilt's origins. Leenhouts used neckties among the materials to create the quilt, Voss said. Quilts are on display at the Parkview Adult Foster Care Home and at some of the Victorian-era homes on the tour, which raises funds for restoration of the historic New Groningen Schoolhouse. After the tour, an old-fashioned gathering from 5-7 p.m. at Lawrence Street Park features music by Fiddle Fire, a band formed by members of the Panning family of Zeeland. Food will be available from members of The Bridge youth ministry at First Christian Reformed Church, said Anna VanDeventer, manager of the society's Dekker Huis Museum and one of the event's organizers.